Say hello to our latest Chic, Haley! 1. First, make a template for the heart shapes. 2. Next, use the heart template and trace 3 hearts onto red felt and 3 hearts onto a piece of felt that is stiffer than the red. 3. Cut out all 6 hearts and glue them together. 4. 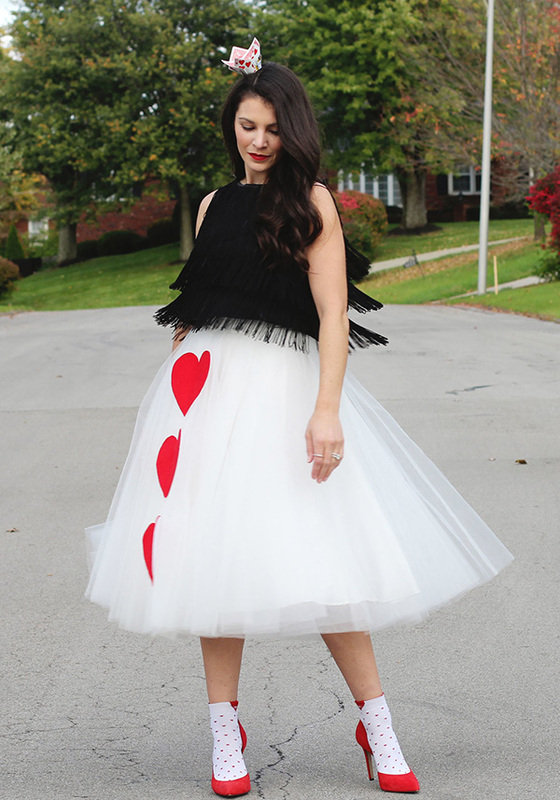 Using safety pins, attach the hearts onto your skirt fabric and only pin through the stiff felt backing. 1. I used a patent leather clutch I already had. 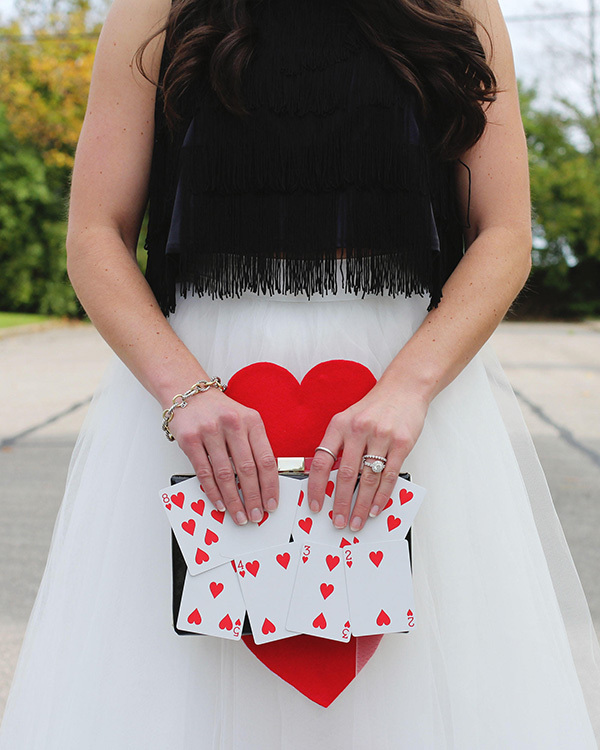 On the back of it, I used Zotsto attach the cards (Zots are perfect because you can peel them off after Halloween!). Just be careful when taking them off, peel them off very slowly so the fabric doesn’t rip. 1. Cut out crown template. 2. 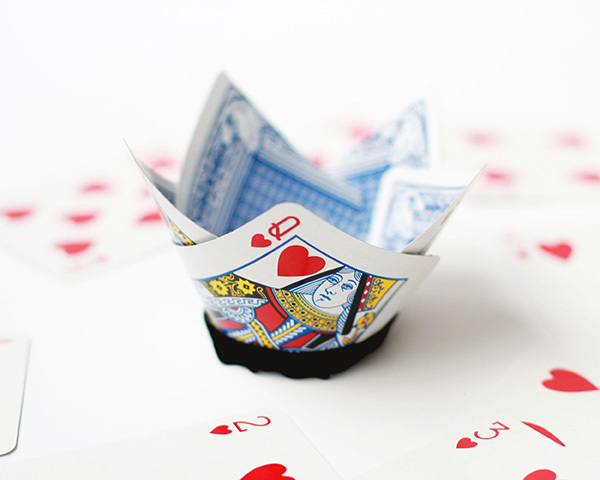 Using a hot glue gun (or stapler), glue the cards onto the paper crown. Make sure you cover the entire piece of paper. 3. 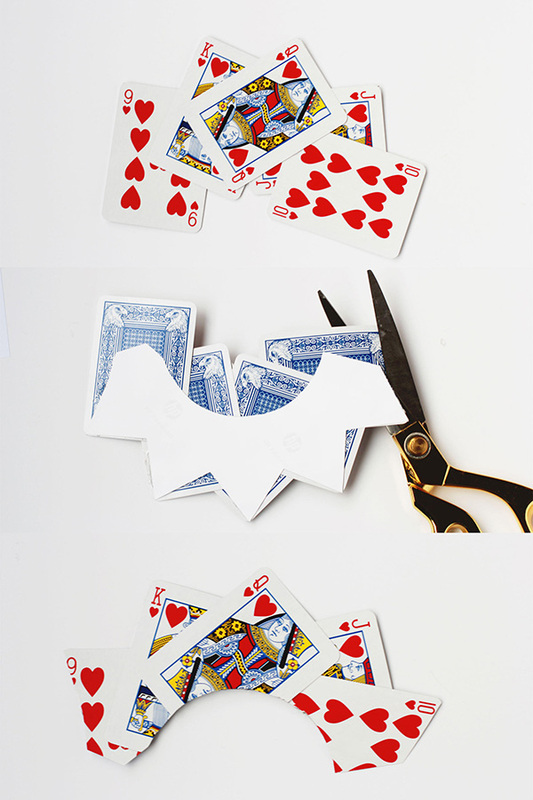 Trim the cards to the shape of the crown template. Optional: peel the paper template off. This worked both times that I made this. 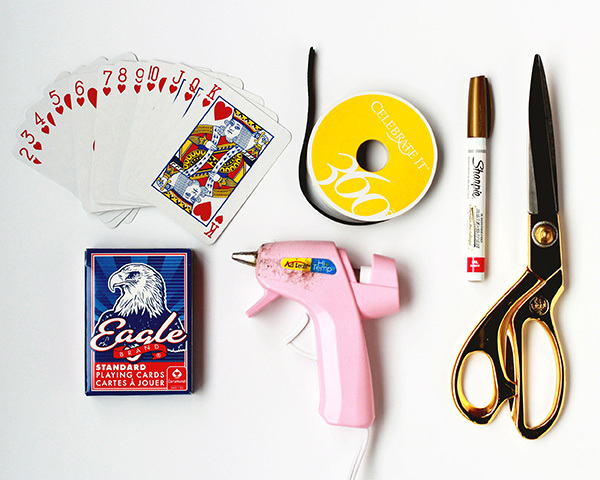 The hot glue doesn’t stick well to the waxy cards, so use staples to reinforce them just in case! 4. Staple the crown together and then staple a small piece of ribbon on each side of the inside of the crown. Optional: Glue a piece of ribbon to the bottom of the crown to finish the edge. 5. To secure the crown on your head, use a small hair clip. Make sure the clip goes over both the ribbon inside of the crown as well as your hair. Have the HAPPIEST Halloween yet! That’s a wrap for our Halloween DIYs this year! Congrats to all of the lovely ladies that submitted their creative and chic ideas. Have a fun and safe Halloween everyone! What are you dressing up as this weekend? P.S. Next week we’re back to our regular Chic of the Week posts and we want to feature you! Snap a photo of you in your favorite outfit, write a blurb about why you love it, and submit it here!